In the film The Shawshank Redemption, two inmates, best friends, Andy and Red, discuss the value of hope. Andy believes that hope is a good thing while Red believes it is not. Each raises valuable points and in a way each is correct. Hope keeps Andy going; hope that his innocence will come to light, hope that he will be released. When he realizes that this will never come to pass he turns to another hope, the hope of escape. Red, on the other hand, feels that hope can kill a man. He is serving a life sentence, every ten years he is evaluated for parole and each and every time he is rejected. Hope only hurts, hope leads to terrible disappointment, he is correct. The more one hopes, the more one is hurt. Red believes in acceptance. He accepts that this is his life, behind bars, forever. Dreaming of getting out, of having a family, of being free, all that can only lead to bitterness. For him, lack of hope, acceptance, leads to a tolerable, sometimes even happy, existence. In a sense we all are in the same situation as Red and Andy, we are all in some sort of a self-inflicted prison. Many of us work in routine jobs and live routine lives that resemble a prison. It is safe, it is comfortable and we are afraid to escape. We are afraid to try life on the outside. That is a choice. Others are like Andy, always dreaming of the outside. They escape their current reality and risk life on the outside. They start a new business, meet new people, form new relationships, despite the obvious risks, despite the fear of the unfamiliar and the unknown. There is not a right or a wrong, we are all different. Some of us are Andy and some of us are Red. Those who live with acceptance contribute greatly to society. If everyone dreamed great dreams we would have a world of unemployed philosophers. But those who live with hope, with dreams, change the world. Dr. Theodor Herzl dreamed a dream. He wrote a book about it, Der Judenstaat (The Jewish State). It was published February 1896. Dr. Herzl dreamed that someday the Jews would reestablish their own state in their ancestral homeland. He believed in 50 years there would be a Jewish state. He was off by two years, in 1948 the State of Israel was reborn. He dared to dream. 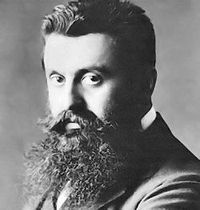 Dr. Theodor Herzl, Binyamin Ze'ev Herzl, he dared to dream the impossible dream. We today live the fulfillment of his great dream. Herzl himself did not live to see his dream come true. Many dreamers dream great dreams but do not live to see their fulfillment. To a true dreamer this is not an obstacle. The dream is greater than themselves. In our world there is crime, in our world there is hate, in our world there is unspeakable violence. Some choose to ignore it. Some of us choose to confront it. Some of us choose to be part of the solution. We dare to dream. We wish to see a world where each and every individual is trained in self-defense, where each and every individual can live in freedom and dignity. Of course we know this will not happen in our lifetime but this does not stop us. I feel both Red and Andy are correct. I feel we should integrate in our lives both concepts; hope with acceptance. We live with hope for a better future, we actively work towards that hope but yet...we accept that change will only come slowly. We have to be at peace with ourselves with the way things are now and yet, not at peace. We need to be troubled enough to do something about it. Vegetarians are troubled by the inhuman treatment of animals and the terrible ecological ramifications for our planet. Clearly we will not convince everyone to give up meat..whoa...no chance of that! But we can try to make a dent, and we are succeeding. Anti-fur people are upset over the unspeakable cruelty to animals all for the sake of "luxury" clothing. They are fighting back, again...in our lifetime it is unlikely we will see an end to the fur trade but huge victories are taking place. My dear father's favorite song was "The Impossible Dream" and so he lived his life, and so he inspired his sons. This week we mark ten years since his passing. And in his memory, as he lies peaceful and calm, I continue to dream impossible dreams, no matter how hopeless, no matter how far. Fulfill a dream, come to Israel! Join us in Israel, a land of dreams and the fulfillment of dreams. A land of freedom and democracy. All are welcome. Join us in Israel for 10 days or two weeks. Immerse yourself in Israeli Krav Maga training, Jewish culture and history, see historic sites of importance to Jews and Christians. 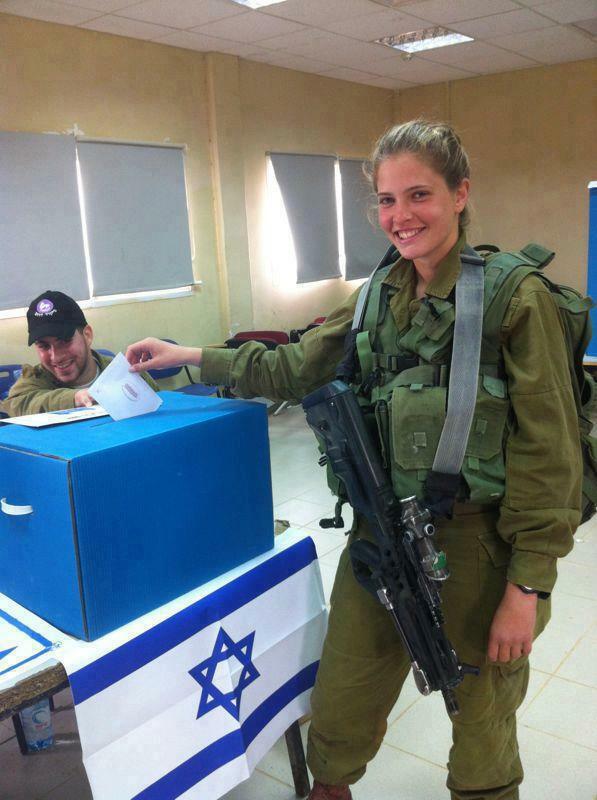 See Israel from the eyes of a warrior.